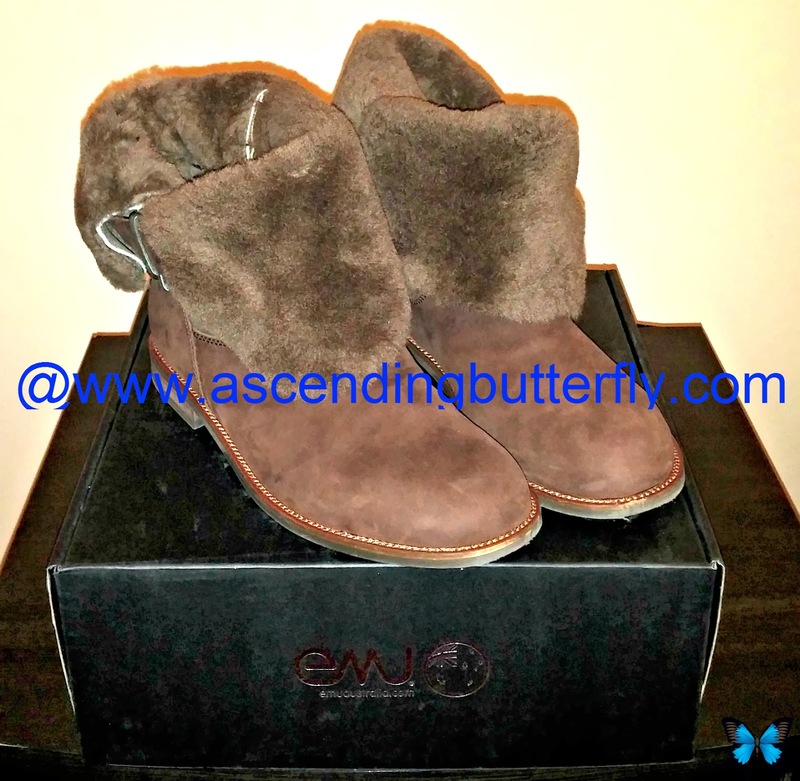 While I am looking forward to Spring (I am an April Baby so Spring is definitely my season), I am staying warm and stylish during the Polar Vortex with Emu Australia whose Premium Sheepskin and Merino Wool Footwear and Fashions are definitely where form and function meet with style! The Emu Australia Agnes Boot (also pictured in the color 'Chocolate) offers a plush raw edged sheepskin finish, leather belt details with logo buckle and a cleated rubber outsole for traction. The Emu Australia Agnes Boot is a versatile stunner that can be worn up or down to reveal it's fur interior, these biker boots offer both style and comfort and the 'breathable' Sheepskin keeps your feet warm in winter and cool in summer to give you multi-season wear! I know that these will become winter wardrobe staples for you like they are for me! With super versatility, comfort, warmth, great details and a stylish edge, what's NOT to love? Tell us Butterflies, what is your favorite EMU AUSTRALIA Style? Link us to it! FTC Disclosure: I have NOT been compensated to create this Polyvore set. I was however provided with Product Samples for Editorial Consideration. However, all opinions are 100% my own. I am disclosing this in accordance with the Federal Trade Commission 16 CFR, Part 255 - Guides Concerning the use of endorsements and testimonials in advertising, you may visit our full giveaway and disclosure page for complete policy information. Love the Roseberry Jacket and the Agnes Boots. 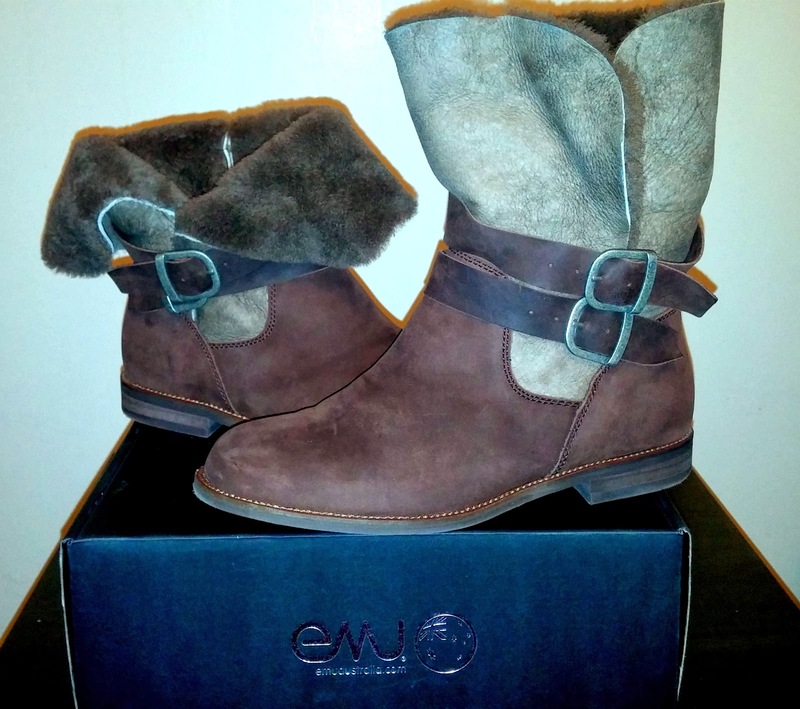 I have several EMU boots but maybe it's time to look at their cloths ,for always bringing such great products . Those boots ROCK - I love them!! Here in MA, it's been so cold and my poor feet are always cold, so those boots look like just the thing to keep them warm! I love the boots! Living in Wisconsin I wear boots 3/4 of the year! I like EMU boots excellent workmanship! Ooh, I love the Agnes boots and will have to check them out. 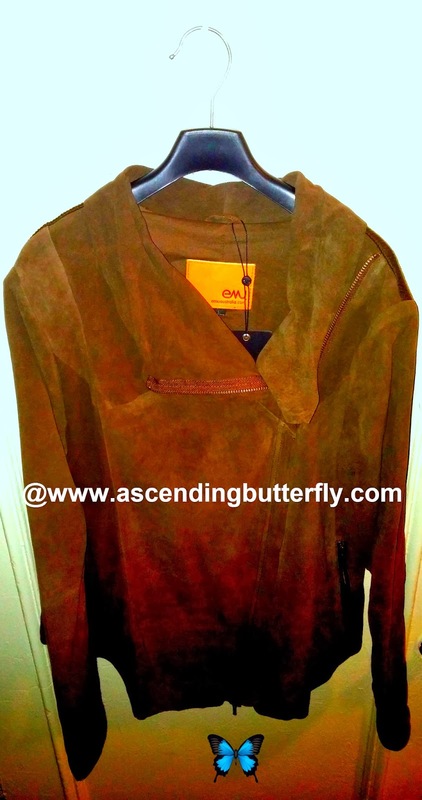 I didn't realize they made clothes, too -- the jacket is great-looking! I love this look! I love the jacket and the boots by themselves, but together they are amazing. I don't have to worry about staying warm like you do (I live in Phoenix, AZ), but if I did I would definitely want a pair of these boots!